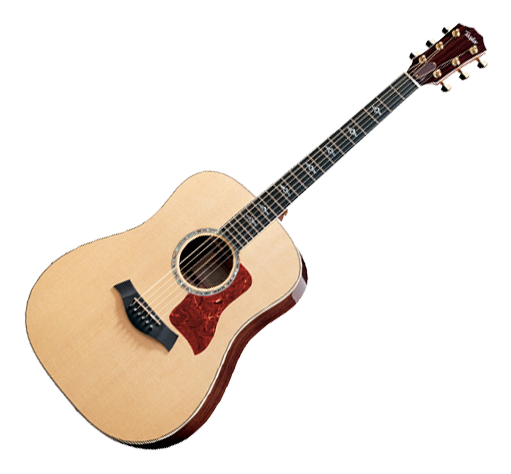 The Taylor 810 guitar is an acoustic model that goes head to head with the Martin D-28 and HD-28 models — and according to most players, the Taylor comes out ahead. Taylor’s 810 Dreadnaught acoustic guitar is a bit sleekerthan Martin’s well-regarded models — slimmed down a bit front to back. What’s So Special About This Guitar? Taylors are known for being more playable than stocky, thick Martins, and that thinner body is part of the reason. A thinner neck also factors in. For most players, Taylors feel a bit less stiff, too. For the 810, Taylor uses Indian rosewood at the back and sides and their usual Sitka spruce top. White binding and a classy abalone inlay rosette complete the picture. Like other 800 series models, the 810 have more intricate fingerboard inlays than lower-numbered series. You should expect good attention to detail from a Taylor, and this model delivers it just as well as any other. You can often find one online for something less than $2,500, making the price comparable to its Martin cousins. Some reviewers don’t seem to notice any playability differences between Martin and Taylor, but it’s hard to find anyone who doesn’t hear a difference in brightness. The Taylor 810 is punchier, while Martins give a boomy sound that may have more character to some listeners but has less clarity. A recent redesign gives the 810 more bracing and therefore more volume than it had before. And it helps bump up the resonance, giving the Taylor model some of the character that Martins are known for having cornered. 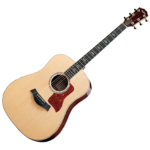 The Taylor 810ce model adds the Taylor Express System to the 810, making it an acoustic/electric guitar. More than just some pickups, the Expression System is a fully-integrated set of electronics aimed at exactly capturing that expressive Taylor sound and relaying it to the amplification system of your choice. A single cutaway gives the 810ce better neck access that its true-acoustic brother. On just about every other count, the 810 and 810ce are similar. While it’s easy to fall into the obvious trap of comparing the Taylor 810 guitar with similar Martin models, many of the differences come down to personal preferences. No one disputes the quality of a Taylor — and no one is suggesting that Martin makes bad guitars either. 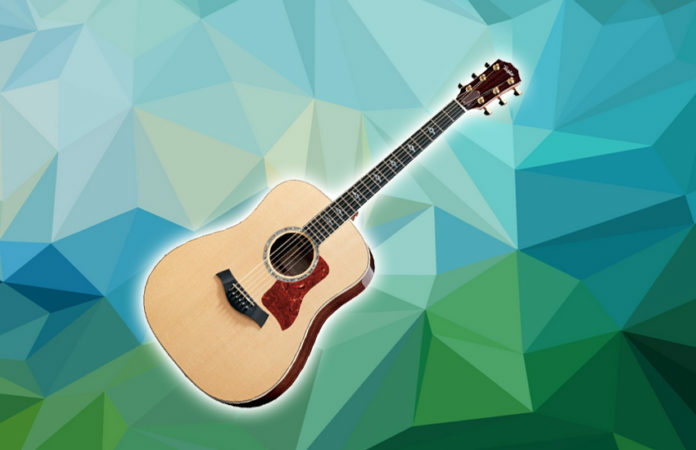 The Taylor 810 guitar and it’s acoustic/electric companion give you and your listeners a bright, dynamic experience. Add in your adept playing, and you could create an experience beyond comparison. That’s why, i wouldn’t recommend this guitar to beginners. I would say that it’s a top-notch guitar that should be used only by professionals. It’s expensive, so if a beginner decides to buy this guitar, they won’t be able to see the full benefits of this guitar. That’s why, it’s best to leave it to the professionals. If you’re a beginner, I would recommend you take a look at some guitars under $200 to start, then advance into bigger and better guitars as your skills get better. Guitarsquid is your guide to the world of acoustic, electric & bass guitars!